Easily clean kitchen hoods and perform high access cleaning to insure your kitchen adheres to the highest cleaning and safety regulations. 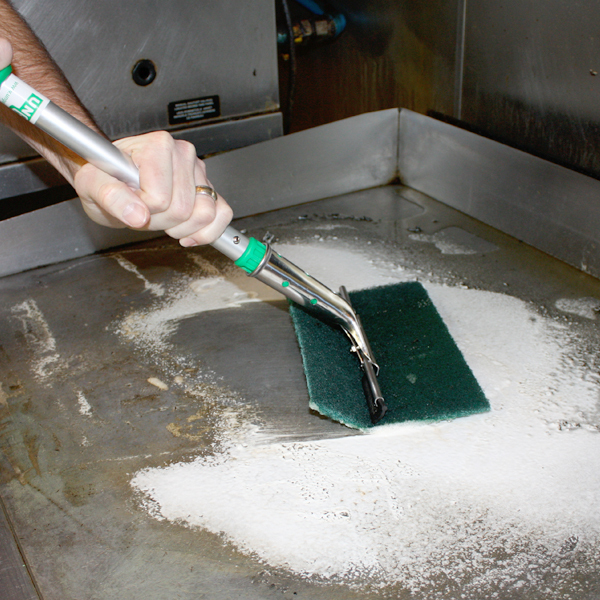 From restaurant hood cleaning equipment to our griddle scrapper options, our kitchen cleaning supplies secure a pristine cooking foundation on which you can produce a cleaner final food product. To minimize the risk of floor related injuries to your staff, Unger complements its commercial kitchen cleaning equipment with its cutting edge microfiber string mop system. With a wider spread than traditional kitchen floor mops, our mops allow workers to clean a larger area, faster. 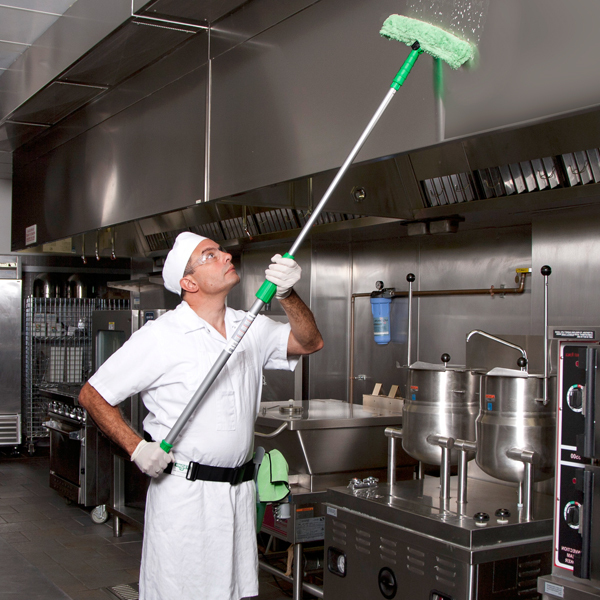 In a fast paced kitchen, you need the best kitchen mop and kitchen cleaning supplies to quickly address the debris and spills that can make or break the productivity of your operations. Keep your kitchen running efficiently and safely with this variety of hood cleaning tools. Our sturdy OptiLoc extendable poles with ergonomic handles allow staff to work safely from the ground. Use lightweight, adjustable T-bars with microfiber washer sleeves to reach those hard-to-clean corners. Complementing our comprehensive line of hood cleaning equipment, The Sprayer on a Belt is perfect for spray-cleaning, providing optimal weight support. Your grill hoods will be spotless when your custodians use these purpose built hood cleaning supplies!